Congratulations to Nick Schulman, Winner of Event 60: $10,000 2-7 Draw Lowball (No-Limit) ($294,321)! Three days ago 101 of poker's elite put up $10,000 each to participate in what some call the purest form of poker. No board, no up cards, nothing to read but your opponent himself. In the end, one player was able to best the hundred others to rise to the top and grab the $294,321 first place prize and the gold WSOP bracelet from the last open event before the Main Event. 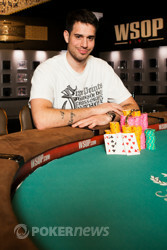 Nick Schulman has become the latest champion after defeating Mike Wattel in a heads-up battle. The Amazon room was filled with excitement on Day 1 of this event as it is what Dan O'Brien called "the most social event of the WSOP". The field was filled with the biggest names in poker and everybody knew everyone else. With that being said, it's no surprise that the players who were unable to survive Day 1 were notable players. Shaun Deeb, Jeff Lisandro, Chad Brown, Brandon Cantu, Allen Cunningham, Steve Zolotow, Joe Cassidy, and Tom Marchese are just some of the players who fell on Day 1. Also to make a quick exit was 2011's runner-up in this event and 13 time WSOP bracelet holder Phil Hellmuth. 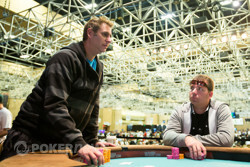 Hellmuth did not arrive until the fifth level of play and was walking toward the rail by the end of the night. Day 2 saw 54 players return to the felt to vie for a spot among the top fourteen players that would cash. Among those to fail at cashing on Day 2 were Jennifer Harman, Tom Schneider, Phil Ivey, Brandon Adams, Hasan Habib, David Williams, Barry Greenstein, David Grey, Jean-Robert Bellande, and Justin Bonomo. The stone bubble on Day 2 happened to be 1993 World Series of Poker Main Event champion Jim Bechtel. After Bechtel's elimination, Day 2 saw a few more players hit the rail. Fortunately for these players, they would be taking some prize money home with them. Marco Traniello, Daniel Negreanu, Jason Mercier, and Erik Seidel were eliminated before play ended and left the final ten to return on Day 3. Play on Day 3 kicked off to a rather fast start with Andy Bloch and Larry Wright being eliminated within the first level of play. The final eight players then took to the final table on the stage in the Pavilion to duke it out on the felt. Ali Eslami was the final table bubble boy and just like that our final table was set. This was set to be a star-studded final table from the beginning of the tournament and the story became even more interesting with two past champions of this event making the final table. Nick Schulman won his only bracelet in this event in in 2009 while Juanda was able to take it down last year.. This also would be Juanda's fourth final table in this event in a row, with fourth, fourth, and first place finishes respectively. Coming into the final table, Bob Bright was the shortest stack by a wide margin. Bright busted in seventh when he got his stack all in and pulled an ace-low against against Mike Watell who ended up pulling a king-low. Next on the chopping block was reigning champion John Juanda. Juanda lost a substantial amount to Schulman on one hand where Juanda made a ninety-seven against Schulman's ninety-six. Juanda was all in on the next and drew one card against Ashton Griffin who stood pat with a . Juanda showed and had several outs to double up. Unfortunately for Juanda, he pulled the and was forced to settle for a sixth place finish to follow up his win. 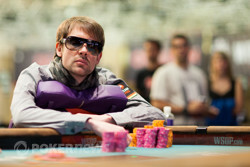 Ashton Griffin took flight from the final table when his all in was called by Mike Wattel's pat . Griffin was drawing thin with the and failed to improve. Griffin will have to settle for his $55,482 cash prize for fifth place. A short-stacked Benjamin Parker was the next to go when he moved all in against Nick Schulman's pat . Parker stood pat with a low and was forced to hit the rail. Three-handed play seemed to be dictated by pre-draw raises taking down the pot. This all changed when Nick Schulman and George Danzer got into an all in confrontation. Danzer opened to 60,000 from the small blind and Schulman three-bet to 180,000 from the button. Danzer replied by four-betting all in. When Schulman found out it was 785,000 more to him he quickly called. 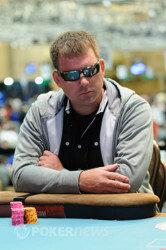 Schulman's ten-eight low was the best hand and was able to send George Danzer home in third place. Schulman was then heads up with Mike Wattel holding an extreme chip advantage. The players took a quick bathroom break and then hit the felt. Within ten minutes of heads up play Nick Schulman raised enough to put Mike Wattel all in. Wattel called and both players took one. Schulman fanned the and was shocked to see that Wattel had a monster draw with . Schulman was able to make his draw when he pulled the and Wattel would need to make his hand in order to stay alive. Wattel pulled the and his tournament life was officially over. Wattel took home $181,886 for his efforts. By conquering 100 other players, Nick Schulman has officially become the first two-time winner of the $10,000 2-7 No Limit Championship. If it wasn't already a known fact, this win certainly cements Schulman's place as one of if not the best 2-7 tournament player in the world. 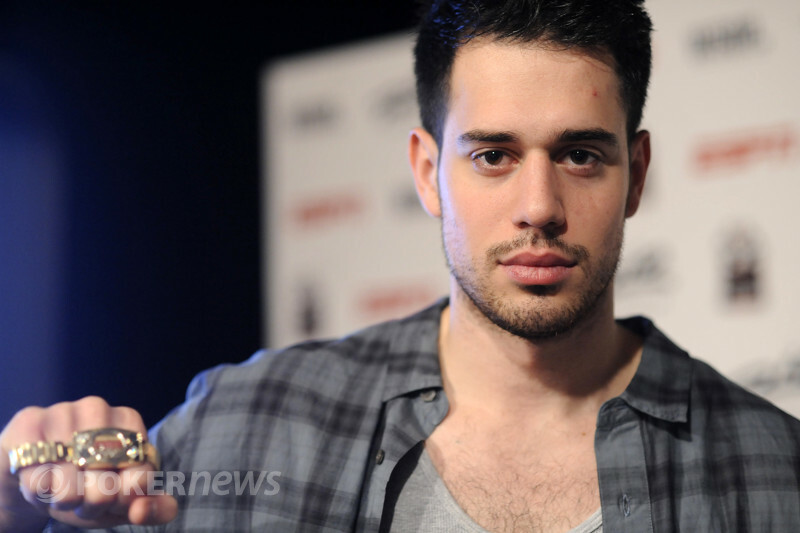 PokerNews extends its most sincere congratulations to Nick on this monumental win. That does it for our coverage of the final open event of the 2012 World Series of Poker. Don't miss our coverage of the Main Event! Nick Schulman had the button and raised enough to put Mike Wattel all in. Wattel called and each player drew one card. "Oh, wow," Schulman said as he saw Wattel's draw. Schulman squeezed his card first. "I'm fifty-fifty," Schulman said. He flung his card on the table and it was the . Schulman made his ninety-eight and Wattel needed to catch to stay alive. Wattel peeked at his card but dejectedly tossed it on the table when he saw that it was paint. It was the and he was officially sent home in second place. After a short break, Nick Schulman and Mike Wattel are heads up for the belt! Mike Wattel folded his button, and George Danzer raised to 60,000 from the small blind. Nick Schulman thought for a moment, then three-bet to 180,000. Danzer tanked, then announced that he was all in. "How much is it?" Schulman asked the dealer. Tournament Director Robbie Thompson cut down Danzer's stack, and determined that it was 785,000. Schulman called the very second Thompson gave him the count. Danzer stood pat, and Schulman stood up. He cut out 785,000 chips out of his own stack, holding his cards in his left hand. He then lifted all five cards up to his face, placed them back down on the felt, and patted behind. Danzer grimaced, and Schulman fanned . Nick Schulman raised to 55,000 on the button, and George Danzer defended his big blind. Both players drew one, and Danzer checked. Schulman slid out 120,000, and Danzer tank-called. Schulman fanned , and Danzer mucked. Action folded to George Danzer's small blind and he raised to 48,000. Nick Schulman called from the big blind and both players took one new card. Danzer fired out 66,000 and Schulman called rather quickly. "Eights," said Danzer, announcing that he paired his eight. Schulman fanned a and was able to drag in this pot, extending his chip lead a little bit more. Nick Schulman opened to 55,000 from under the gun, Benjamin Parker called all in for just 50,000 from the small blind, and George Danzer called the full raise from the big. Parker stood pat, Danzer drew one, and Schulman stood pat. Both Danzer and Schulman checked. Schulman tabled for a ninety-eight, and Parker shook his head before tabling a queen-ten. Danzer mucked, and Parker was eliminated from the tournament. Mike Wattel raised out of the small blind and was called by George Danzer in the big blind. Wattel stood pat and Danzer drew one. Wattel checked to Danzer after the draw and Danzer announced that he was all in, making Wattel ponder calling for his tournament life. Wattel was visibly upset at the size of the bet and eventually flung his cards into the muck.